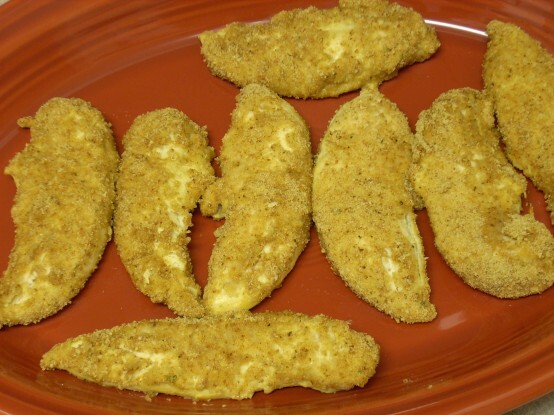 My husband is a big fan of fried chicken tenders, but they really aren’t a very healthy choice. 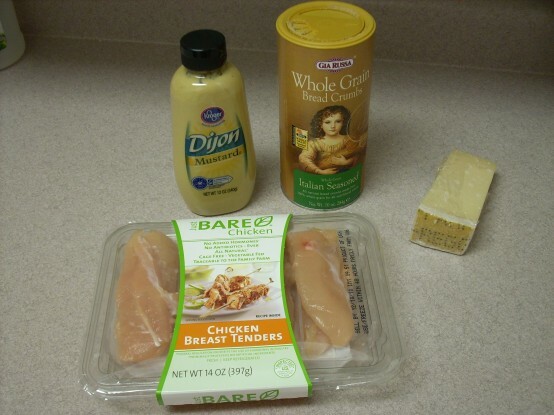 I like to find ways to take certain favorite foods, and make them a little healthier. That way we can enjoy them a little more often without all of the guilt. 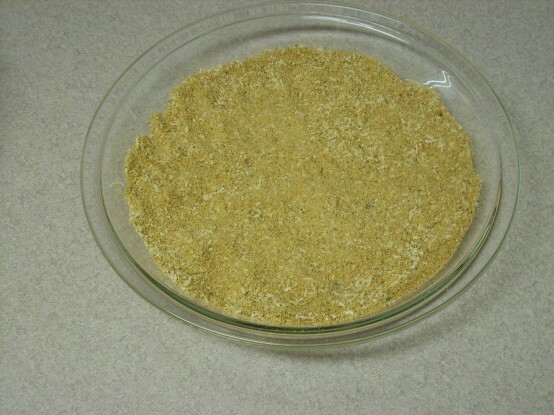 This recipe literally is so simple that a ten year old could do it. I think it would also be kid friendly as far as eating goes too. There are only four ingredients total. That is it. Few ingredients, but big flavor. 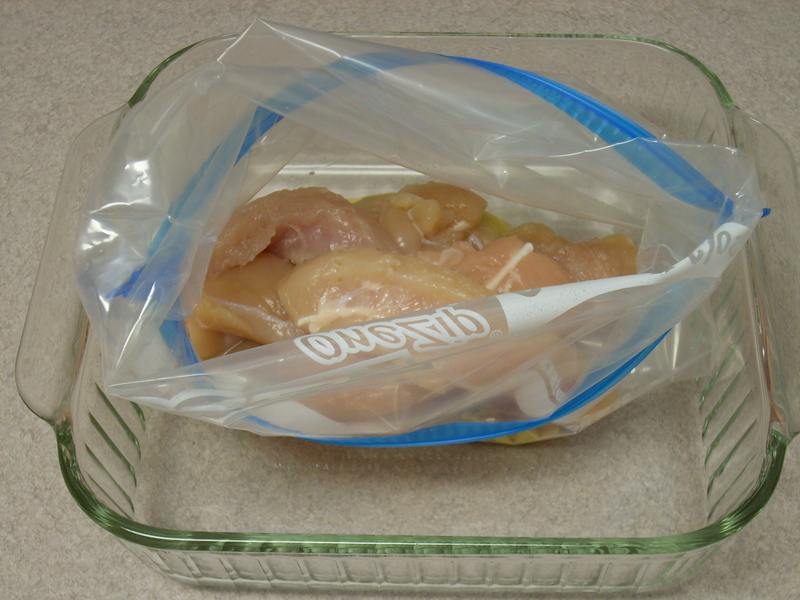 If you buy the chicken already chopped into tenders, it is also an amazingly quick way to get dinner on the table too. Here is all you will need. A 1 1/2 lb. package of chicken tenders, dijon mustard, italian seasoned breadcrumbs, parmesan cheese ( I used parmigiano reggiano, but if you don’t have that just use what you have). Unless all you have is that stuff in the green shaker bottle, then you might want to upgrade to something a little better. 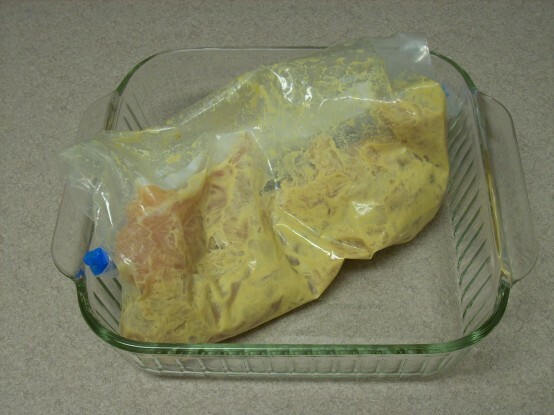 First, put two tablespoons of dijon mustard into a ziploc bag. 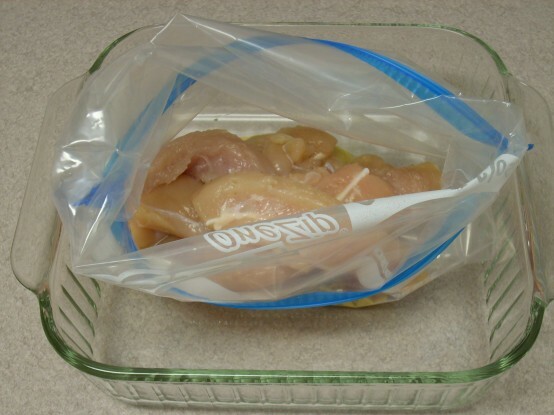 Add the chicken tenders to the bag. Seal the bag and work the dijon mustard all around the chicken until all of the pieces are well coated. 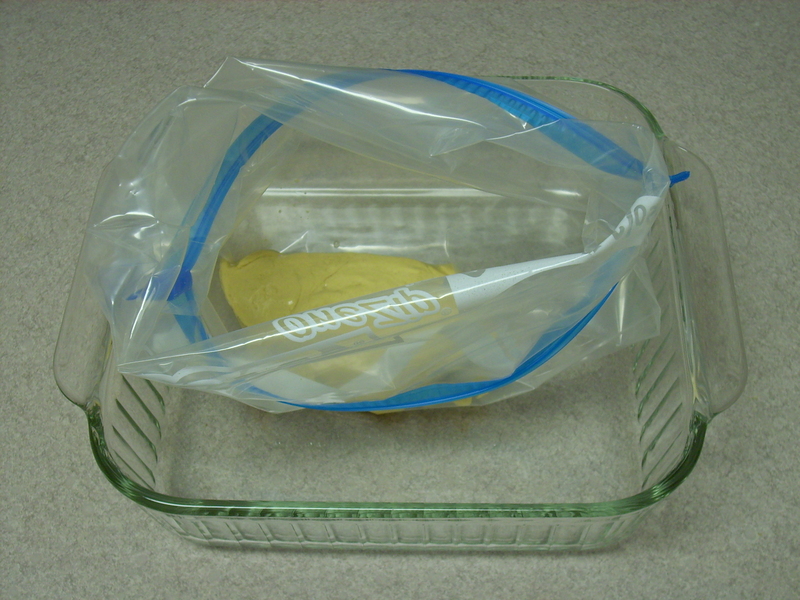 Placing the bag into some kind of bowl or dish before placing into the fridge will help protect against any potential leaks. 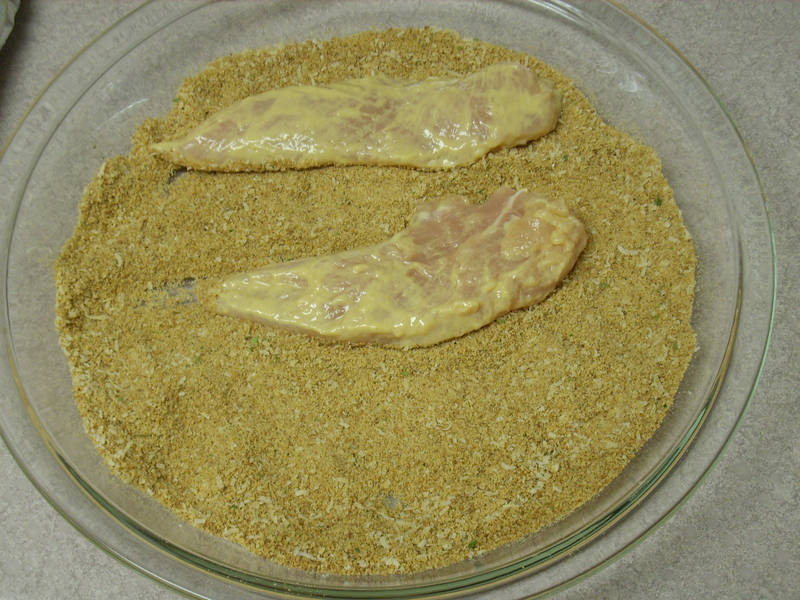 Let the chicken marinate in the dijon mustard for thirty minutes, or up to an hour. 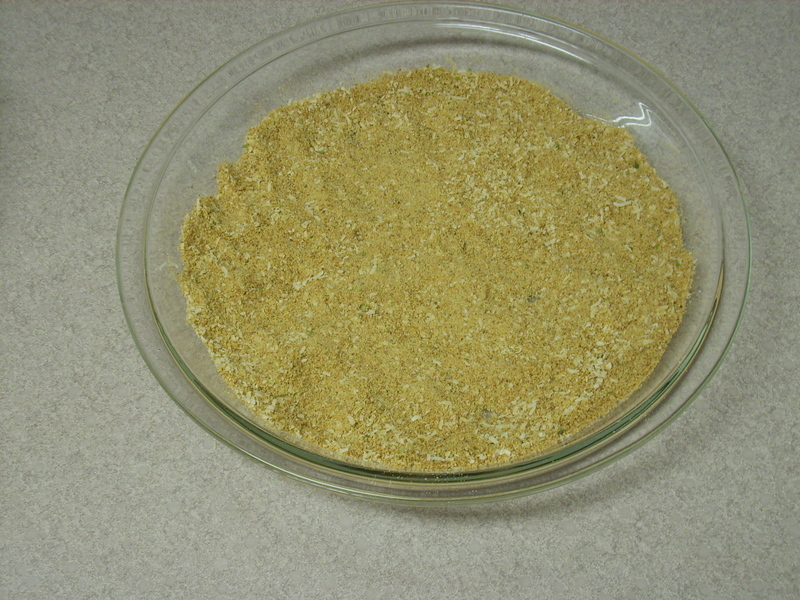 In a shallow dish, combine a 1/3 cup of breadcrumbs with two tablespoons of finely grated parmesan cheese. Take each chicken tender out of the marinade and place into the dish with the breadcrumb/cheese mixture. Coat each side. 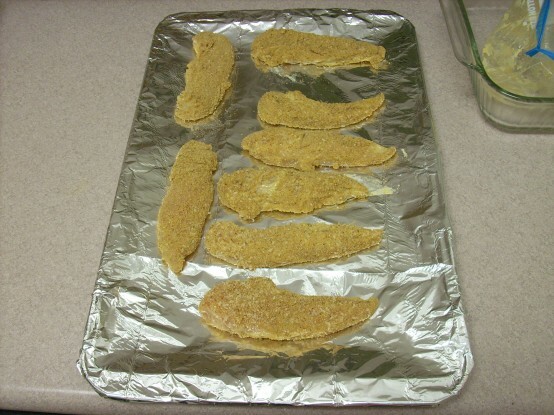 Shake off the excess and place onto a foil-lined baking sheet. Place into the oven and bake for 15 -20 minutes. Cooking times may vary depending on your oven, and the thickness of the chicken tenders. My Orzo With Roasted Peppers & Olives side dish pairs really well with this. Throw in some steamed brocoli or a salad, and you’ve got a very fast, simple meal. By Tempie at December 10, 2010 .